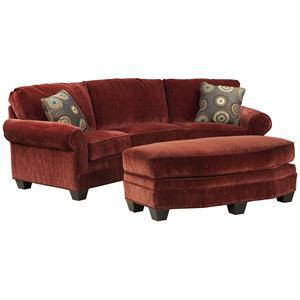 A traditional sofa with a flowing framed curve, this eclectic accent couch brings with it an array of nurturing charm. 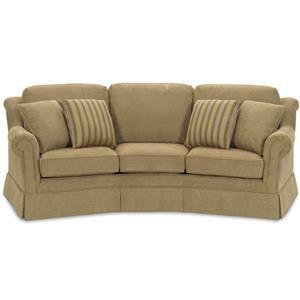 A smooth arching frame gives this piece a slight gentle curve, making it the perfect living room addition for corners and conversation rooms. 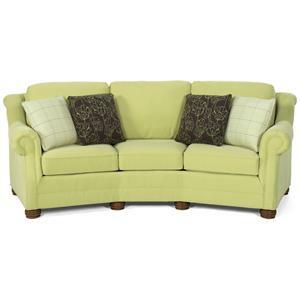 Upholstered in rich flowing fabric, every angle of this sofa's frame is delicately covered with extraordinary tailoring. 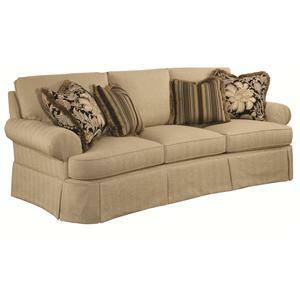 Decorative welt cord trim and a bordering kick skirt complete the piece with style and charm. 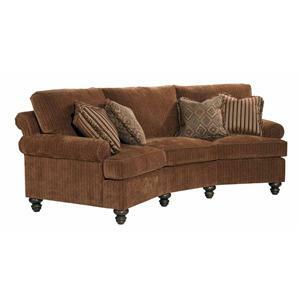 The perfect romantic addition to traditionally styled homes, this couch fits into formal as well as casual settings. 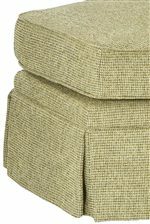 Coordinating accent ottoman also available. 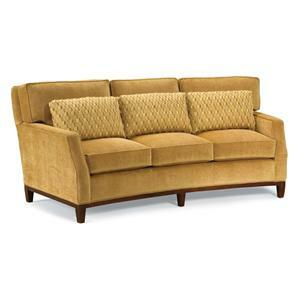 The 3766 Corner Sofa with Sea Shell Pleats by Fairfield at Stuckey Furniture in the Mt. Pleasant and Stuckey, South Carolina area. Product availability may vary. Contact us for the most current availability on this product. This traditionally styled accent collection is brimming with style from a couture class. 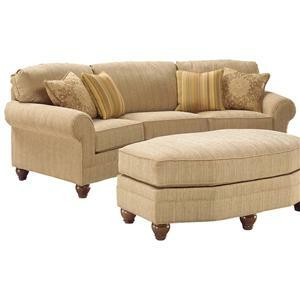 A living room set that looks as though it had been removed from a quaint palace sitting room, this stunning collection features traditional skirts and arms with elegant pleating and plush comfort cushions. The perfect pieces to accommodate both formal and casual sitting rooms, this collection's sofa and chair create a truly eclectic combination. 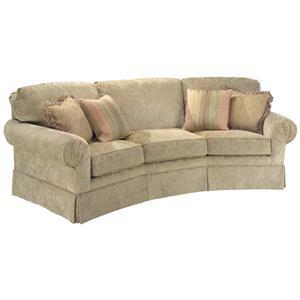 The 3766 collection is a great option if you are looking for Traditional furniture in the Mt. Pleasant and Stuckey, South Carolina area. 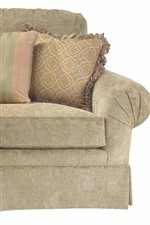 Browse other items in the 3766 collection from Stuckey Furniture in the Mt. Pleasant and Stuckey, South Carolina area.